Meet the people that make our garden grow! Originally from the Pacific Northwest, Colie Belieu now happily calls Utah home. She followed her heart to the mountains of Park City in 2013 and has since immersed herself in the local community by way of gardening, farming and yoga. She has been actively involved at Copper Moose Farm and the Park City Nursery, through which she learned many skills and methods for high-altitude gardening and farming. Colie is very passionate about the vital relationship we have to the earth, and how much this relationship teaches us about patience, growth and connecting to the elements. She feels truly grateful and blessed to live in such a serene place and looks forward to deepening her relationship with the local community of Park City through her work with the Summit Community Gardens. Looking forward she welcomes the opportunity to contribute many more years to sustainable growing practices in Park City. In her free time, Colie enjoys spending time in the outdoors with her loving boyfriend and dog Frida, hiking, biking, running, skiing, swimming, practicing yoga, gardening, reading and writing. Lara has had a keen interest in gardening ever since childhood when she witnessed the miracle of her mom growing rainbow chard straight out of the sand in Saharan Africa. Since moving to Park City in 2014 she has sought out creative ways of engaging in community and has served in various non-profit roles and as weed slayer extraordinaire at the Copper Moose Farms. She considers herself a life-long learner and since accomplishing her goals of attaining fluency in Japanese and teaching certification in the art of Ikebana during 15 years of residence in Tokyo, she now enjoys various Utah-specific endeavors such as becoming a certified Utah Master Gardener in 2016 and a Utah Master Naturalist in 2018. She counts herself fortunate to live in a community that values the preservation of open space and the significance of local food production, and is thrilled to share her passion for community building and living green things in the capacity of volunteer and outreach coordinator at the gardens this season. When not at the gardens you can find her deep in the wilderness of southern Utah, peddling plants at the Park City Nursery, or creating art that refuses to conform to a particular genre. Connect with her on social media at petalandclaypc on facebook and petalclay on instagram. Hi, I'm Nicole! I recently graduated from UC Berkeley with a degree in sustainable design, and decided to move out to Park City and work as a ski instructor for the winter season! I love being outdoors, so getting to work outdoors every day is something that I have loved! I am super excited to get to work in the Summit County Community Gardens for the summer season! I have spent the past three summers working at a summer camp in the Sierra Nevadas, and am very passionate about teaching kids in an outdoor learning environment. I have loved getting to explore some of the trails in Summit Park, and when I'm not teaching or working, I can be found hiking, biking, or running along the paths in town. I have been practicing a zero waste/vegan lifestyle for about 2 years, and am super excited to add in some of these topics to the kids summer camp programs! After working 30 years in technology and finance, Kelly "retired" from the rat race to start a tutoring and college counseling company in Park City: Breakaway Prep Park City. She has also happily found the time to join the Summit Community Gardens board. Gardening has always been a big part of her life and it has been an honor and pleasure to work with the board, the community gardeners, and the volunteers to make the garden better each year. When not working with kids or in the garden, Kelly can be found hiking, cheering on her son (Tyler) at lacrosse, or playing fetch with her dog (Damien) at Willow Creek Dog Park. She also loves skiing, cooking, reading, and cheering on the Notre Dame Fighting Irish, the Michigan Wolverines, and the Denver Broncos. Lynsey has had her hands in the dirt here at Summit Community Gardens since the beginning. She put her heart, blood, and tears into building this garden, and worked for two years as its Garden Manager, growing fruits and vegetables for the Park City community, food banks, and the community gardeners. She has been committed to educating and engaging our community with what and how to grow here in Park City. Lynsey is now on the SCG Board of Directors. She is thrilled to be back in a capacity that allows her to engage the community, train a new generation of gardeners, and help the garden thrive and flourish. 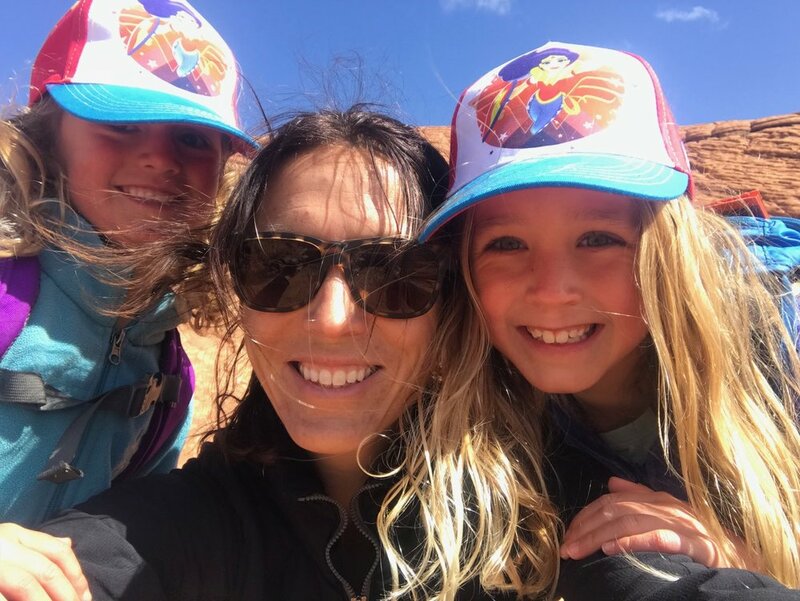 When she isn’t digging in the dirt, she is loving on her two daughters, Hazel and Ingrid and playing outside in the mountains - trail running, or mountain biking, or skiing. Insa grew up on a Sandbank where only potatoes and blackberries grew. She learned to garden at her first house in Detroit, harvesting pears, veggies and planting a rose garden. A Master Gardener class led to the Advanced Master Gardener certification, building a Master Composter program and ended in working for a waste authority on composting programs. Revitalizing the nonprofit Recycle Utah, Park City since 1999 always included food waste reduction programs. A rind is a terrible thing to waste. Composting was the answer for building healthy soil. At SCG Insa has planted penstemons, sold veggies at the farm stand and helped with nonprofit issues. It’s a joy to see the sunflowers grow at the gardens, as it is her family’s flower and does well growing in sand. With a background in environmental science and education, Natalie quickly grew to realize the importance and benefits of eating local. 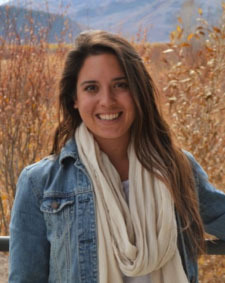 Originally from Michigan, Natalie moved to Salt Lake City in 2014 and soon began working as an environmental educator at the Swaner Preserve and EcoCenter in Park City, as well as a Market Manger for the Sugar House Farmers Market in Salt Lake. After finally making the move to Park City in 2018 and leaving her role behind at the farmers market, she has been exploring ways to become more involved in Park City's local food community. 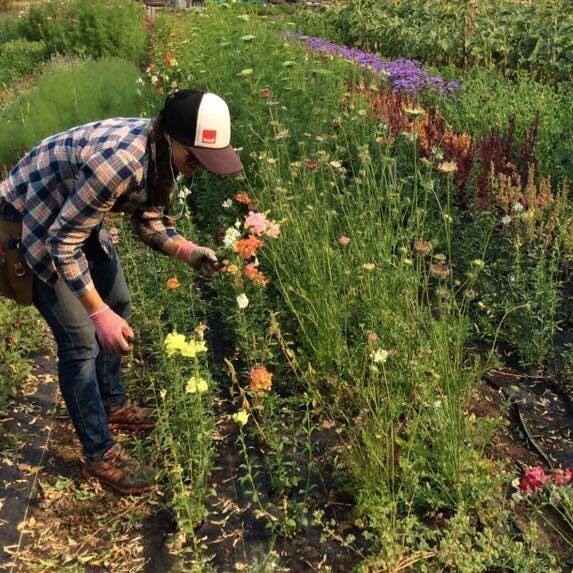 After attending many of the amazing community events held at the garden this past summer, Natalie is excited to join the team as a board member, hopefully utilizing her connections from Salt Lake's local food community and background in environmental education to help grow the SCG community! After years of visiting Park City and dreaming of one day calling this mountain town home, Lindsay and her husband moved their family of four into the Silver Springs neighborhood in early 2017. She developed a love for gardening at a young age, digging through the soil in her parents’ rose gardens and vegetable patches in sunny San Diego. Lindsay has waited patiently for a “real garden” for herself, instead cultivating very ambitious container gardens on her apartment patios in both Los Angeles and San Francisco. The opportunity to garden among her new community is something she cherishes, and she is excited to be a part of the team helping to grow the beautiful Summit Community Gardens. If you see her in the gardens, you’ll likely see her two little shadows (Leo, age 3, and Grace, age 1.5) following closely behind.